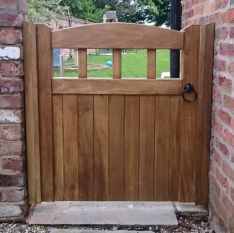 Village Gates offer all types of wooden gates ranging from low garden gates to tall bulky driveway gates. All products are made to measure and there are many different designs available to help you with your choice. Browse through the links below to find ideas from the pictures of just some of the jobs we've done in the past. Our gates are available for manual use or to be automated. 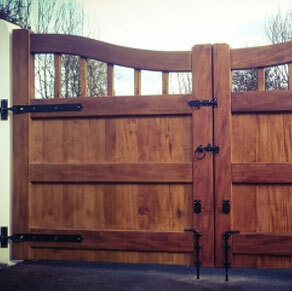 These timber gates are available in some of the finest hardwoods including Idigbo, Iroko and Meranti. 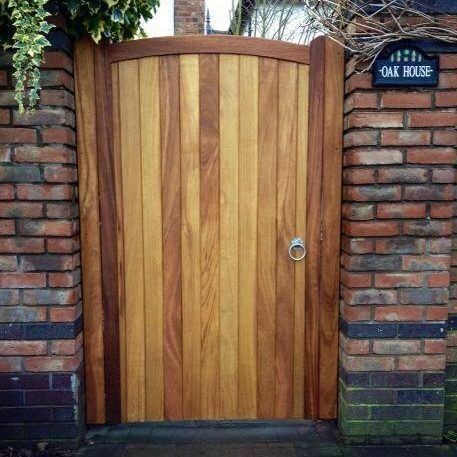 For a cheaper option there are also our softwood gates made from Scandinavian Redwood. 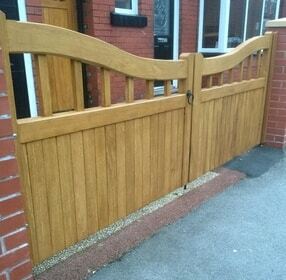 These are built in the exact same way as our hardwood gates but are less durable and require more maintenance. Our low garden gates and low driveway gates range from 30 inches high to 5ft high. 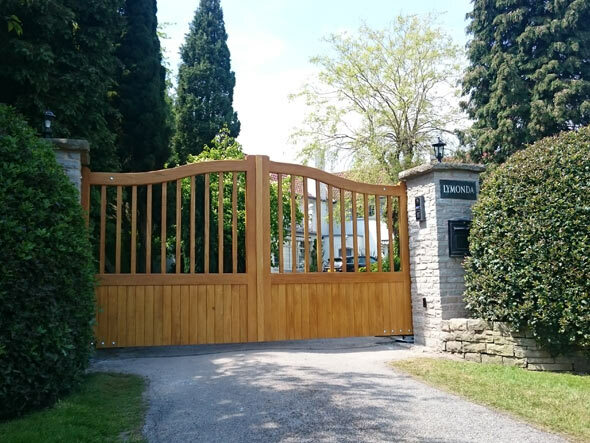 The garden gates and driveway gates start at 5ft high and go up to 8ft high. 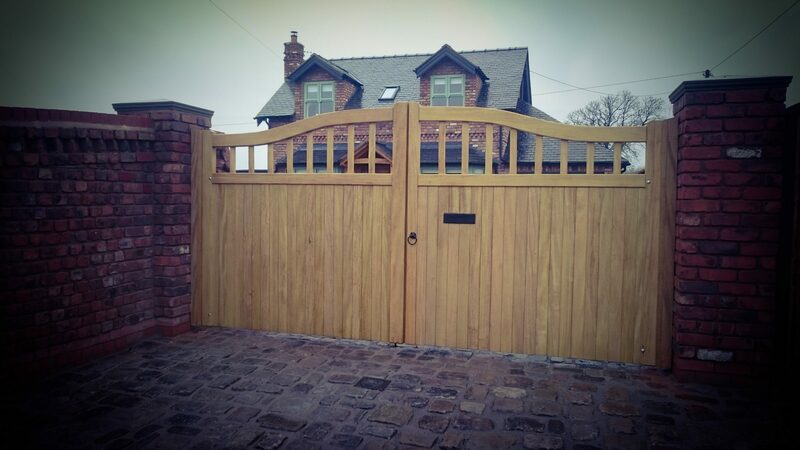 As all gates are bespoke and made to measure, the widths are dependant on the gap size. For manually opening gates we use only quality tee hinges for small openers or adjustable hinges for larger openers. A variety of different hardware finishes are available. These start with the standard galvanised silver hardware kits, also available in black on galvanised. Customers can also have high performance hardware such as stainless steel or pewter ironmongery. The option of a key lock is also available with all gates. This is lockable from both sides. 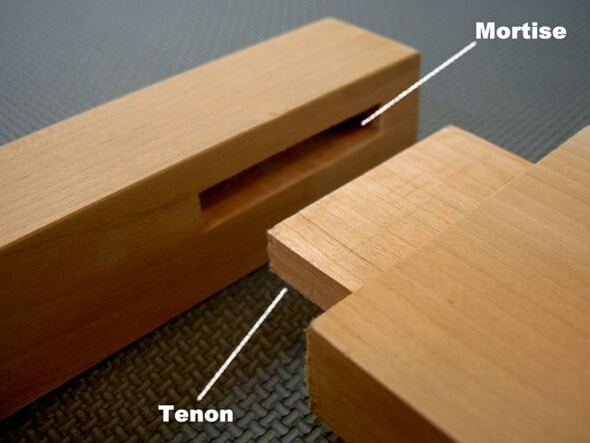 Click this link to find out why we recommend mortice & tenon gates.